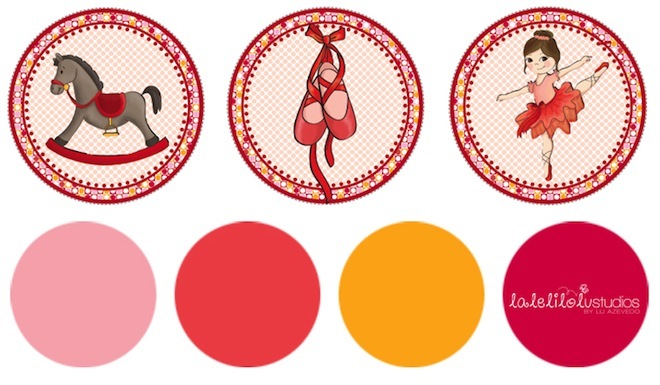 This is one of the most popular items in the store: printable DIY party decoration. 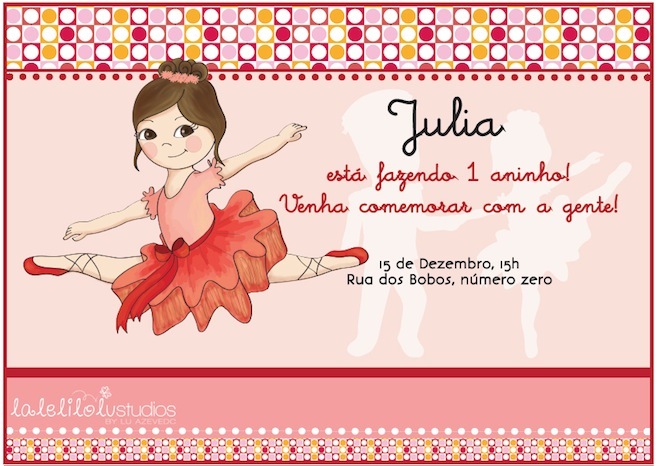 Nutcracker is the first theme I offer and it was designed with the illustrations I did last year for Guigo’s birthday party, plus some other new ones I created especially for the kit. 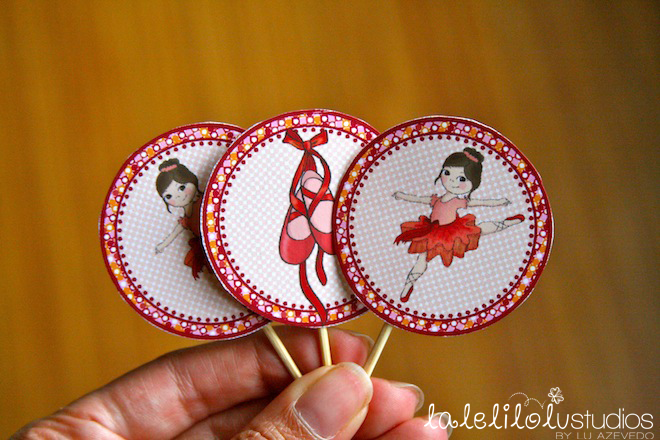 Each kit contain 6 types of cupcakes toppers, cake topper, cute flags, custom invitation and thank you card, and more. 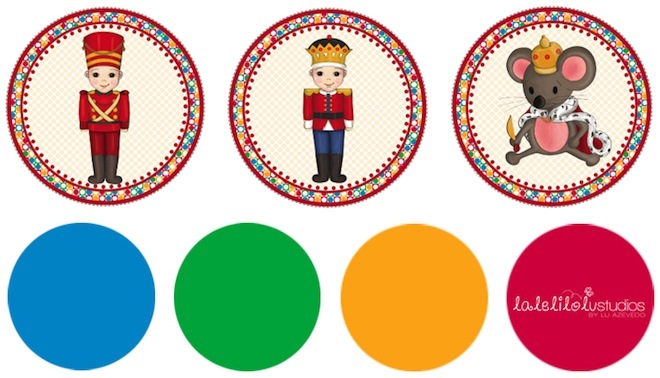 This is a great party theme for those children who have birthday in December, and it includes both girl and boy versions. This item is not available on my Etsy Store yet, but you can find it here. I always make my best to email it to you within 24 hours. Feel free to tell me other party themes you’d like to see here. I’d love to hear from you! PS: Here is the 2012 holiday season suggested mailing dates: for those who live in Europe, November 30 is the last day that it’s safe to order and get the item on time for Christmas (Regular Air Mail). For those in Australia, just by express delivery services now. Adorei seu site, ficou lindo! Desejo a vc todo sucesso do mundo, Deus abençoe! Vc é sempre um amor, Pati. Muito obrigada! Lindo, lindo! Vejo que você diversificou, cresceu. Seu site está excelente. Vou até ser ‘abelhuda’ e perguntar quem foi q fez toda essa produção de sua nova página. Há um bom tempo estou tentanto melhorar minha página, fazê-la + profissional, mas até hoje não achei ninguém para fazer isso. Muito obrigada, querida! Já já te respondo tudo por email!